Below you will find some of our most common questions, our customers ask The Flag Shop. How do I place an order for feather flags? 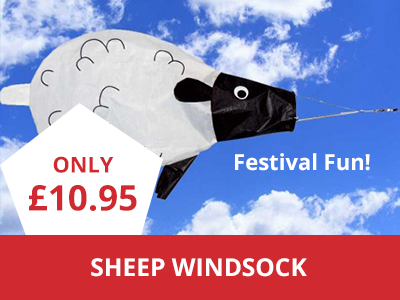 When ordering a feather or teardrop flag all you have to do is choose your base, upload the artwork, select how many flags you want & click ‘add to cart’. The total price you pay will be shown in the cart before payment. If you are unsure about anything then give us a call on 01246 297600 & one of our team will be happy to help! How do you need the image supplying for feather flags? Artwork for feather & teardrop flags should by in CMYK colours (pantone colours can also be supplied) with a minimum resolution of 300dpi. All text should be converted to outlines & supplied in PDF or EPS format. Where possible, logos should be supplied as vector images. Please do not embed artwork. Can you print photographs onto a feather flag? Yes, photographs should be supplied in very high resolution for a good quality print (not low res downloaded from the web). Which base should I choose for feather flags? Ground Spikes: Ideal for soft ground. Cross Base: Ideal for indoor use. Water Base: Heavy duty base for outdoor use. Car Stand: Use under your car or caravan wheel. Do I need to use the template when sending artwork for feather flags? It’s up to you, you can size the artwork yourself or if you prefer just send us the image & we will do it for you. If I order a feather flag, how long will it be before I get it? The standard lead time for feather flags is 5-7 working days once the order is placed & the artwork is approved by the customer. Do the feather flags come with the pole? Feather & teardrop flags are supplier with the pole as standard. What material are feather flags made from? 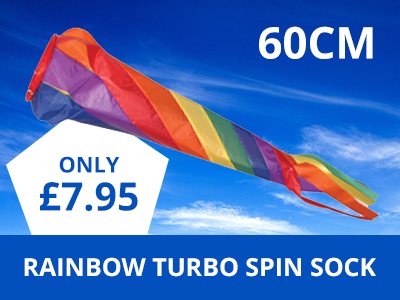 Our standard feather flags are made from 115gsm knitted polyester. We can also make feather flags / teardrop flags from 135gsm air mesh on request. Are flags printed on both sides? Flags are printed on one side with a mirror image on the reverse (the print bleeds all the way through the material). 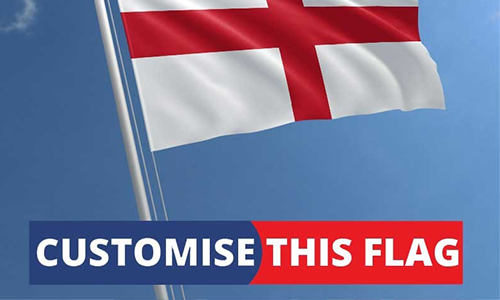 Double sided flags can be made on request (two flags sewn back to back with blanking interliner in the centre). No...all our feather & teardrop flag prices are inclusive of VAT with free UK mainland standard shipping. 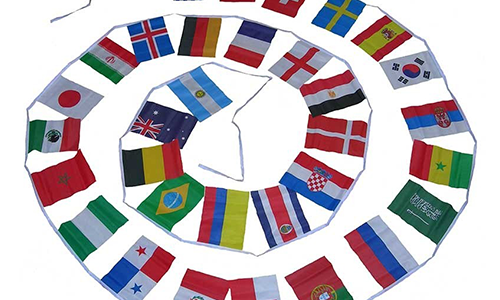 Can you make flags to any size? Yes, we can make flags as big or as small as you require. NB the largest flag we make from 1 piece of material is 3m wide – anything larger will be made on more than one piece of material & then discreetly sewn together leaving a small seam. How long does it take to make a custom flag? We generally quote 5-7 working days from agreement of the artwork, but can usually get flags made quicker on request. How do you need the image supplying for custom flags? 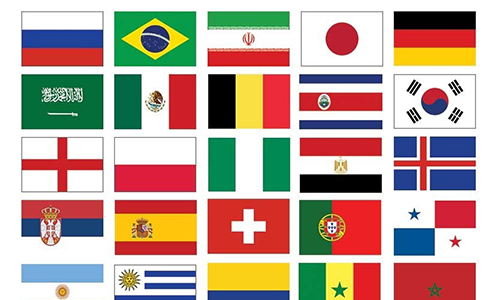 Artwork for custom flags should by in CMYK colours with a minimum resolution of 300dpi. All text should be converted to outlines & supplied in PDF or EPS format. Where possible, logos should be supplied as vector images. We also accept other formats (jPeg, GIF etc) which need to be in large format with high pixel resolution (preferably a minimum of 300ppi). Can you print photographs onto a custom flag? Yes! Photos need to be very high quality, preferably from a digital camera. The photo should be uploaded in it's biggest format (not optimised for fast upload). If any photograph or image is too big to send us by email or using our online image upload, then you can use our dropbox which allows uploads of up to 5GB (https://www.hightail.com/dropbox?dropbox=TheFlagShopLtd). How do I attached a flag to the telescopic flagpoles? 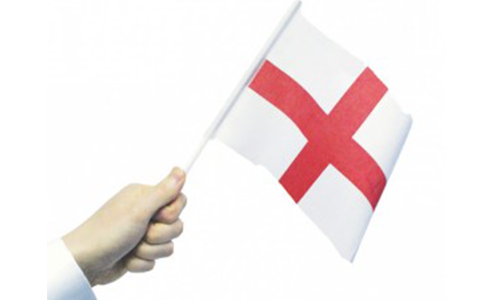 All the ready made flags on our web site come with eyelets as standard. 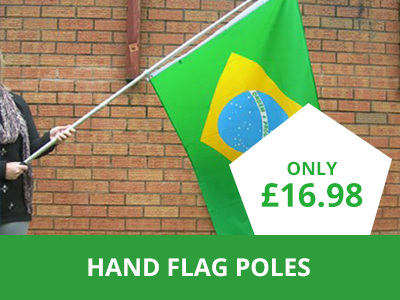 To attached one of our flags to the telescopic flag poles you will need a pair of flag bungees found on the 'poles & parts' page! What else do I need apart from the telescopic flagpole? To attach a flag to the pole you will need a pair of bungees. If you would like the pole to be free standing we sell pole stakes which push into the ground for the pole to slide over. We also sell a pole bag so all the parts can be stored neatly & transported conveniently.